Is your furnace leaving you out in the cold? A furnace repair may be in order. Call the pros at Quality Heating & Air Conditioning to the rescue! During the long, cold winter months, you count on that furnace to come through, keeping you warm and toasty. But what happens when your furnace isn’t keeping its side of the bargain? If you keep cranking up the thermostat but you’re not even thawing out, there may be a problem. Your furnace is an “oldie but goodie”. If you can’t remember how old it is or when the last time it was serviced, it may be ripe for a problem. The thermostat is working, but inching up the temperature isn’t equating to warmer air in the house. There is a puddle on the floor next to the unit. Your furnace can’t decide whether it wants to be on or off and keeps cycling back and forth. Your furnace even sounds angry…groaning, whining and banging, oh my! You nearly fainted when you opened your last utility bill. Your pilot light is yellow and not blue. PS. A yellow pilot light can indicate carbon monoxide. Not good! We can help! 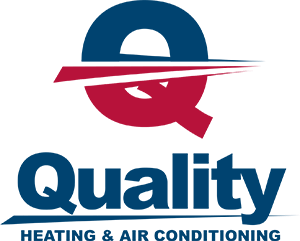 Call us.The furnace repair pros at Quality Heating & Air Conditioning will make a full evaluation and get your comfort (and that pesky furnace) back under control. We will have you on the schedule immediately with one of our experienced technicians who can offer an accurate diagnosis and a quick turnaround. Most often, it’s just a matter of a simple repair…replacing a thermostat, repairing a pilot light, faulty wiring or duct leak, fixing a fan motor. Easy, peasy! Sometimes, your furnace has just hit the end of its road. If it’s 10 to 20 years old and hasn’t been properly or regularly maintained, it may just be on its last legs. Then we will consider what your needs are and begin to evaluate what heating systems will fit the bill. You will be surprised how much more efficient a new system is, not to mention reliable. If you have been dealing with an older furnace, reliability is something that will be a welcome addition. We will offer you a variety of solutions and give recommendations that we think will fit your home and budget. We at Quality Heating & Air Conditioning know what a hassle a malfunctioning furnace can be, but we have solutions. 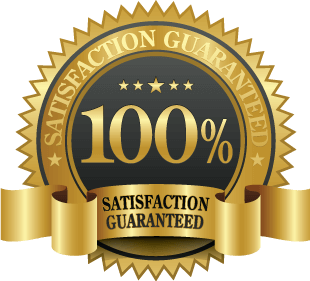 Our furnace repair professionals have been at this a very long time, so you can be ensured you have the finest evaluating your system. Quick service. Great price. Isn’t’ that what you want? Let our pros at Quality Heating & Air Conditioning in the Innisfil, Bowmanville and Bradford areas be your furnace repair superheroes!